Mission command is defined as "the conduct of military operations through decentralized execution based upon mission-type orders." These orders reflect the commander's (centralized) intent but do not prescribe a method or manner in which subordinate leaders must execute operations. The staff executes a decentralized planning process without the commander. This approach suggests that staff members at every echelon have the ability to apply creative, innovative, and inspirational solutions to challenges. Critical thinking is also paramount in devising strategies to counter evolving enemy tactics. 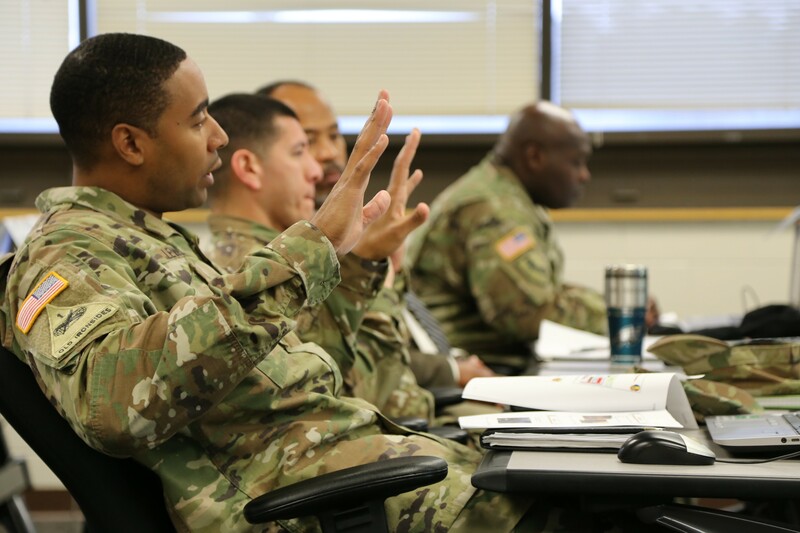 Understanding the tenets of mission command is vital for leader professional development; however, mission command is seemingly overlooked in warrant officer professional military education (PME). The current curriculum in the sustainment warrant officer PME does not reinforce the mission command agenda, especially within the Warrant Officer Basic and Advanced Courses. The general perception among sustainment warrant officers is that mission command is exclusive to branch-qualified commissioned officers and practiced at the operational and strategic levels. Many sustainment warrant officers cannot differentiate between mission command and the former modus operandi of command and control, and thus they perceive mission command as superfluous. Branch-qualified commissioned officers receive an extensive block of instruction in mission command while attending Intermediate Level Education. But, the depth of instruction that sustainment warrant officers receive pales in comparison, thus the technical experts have a vague understanding of the development of orders to support mission command. In the late 2000s, then Chairman of the Joint Chiefs of Staff, Gen. Martin Dempsey, developed the idea of incorporating a philosophy that seemingly diverged from Army culture. Dempsey developed this philosophy, deriving several tenets from the analogy used in "The Starfish and the Spider," co-authored by Ori Brafman and Rod Beckstrom. In their book, the authors discuss the parity in characteristics between a starfish (a flat organization) and a spider (a hierarchical organization). The qualities used to characterize the starfish include autonomy, trust, allegiance, decentralization, resilience, adaptability, and flexibility. Conversely, the spider represents a centralized organization that is rigid with clearly defined roles and responsibilities. A centralized (top-down, hierarchical) organization provides structure and prescribes strict limitations with respect to delegating authority. Given the ever-evolving state of enemy tactics and techniques to attain survivability, if not dominance, Dempsey developed the mission command philosophy for the ability to change course and respond quickly to meet new challenges. This philosophy reflects a culture that is prevalent throughout technical centers around the world, including the U.S. technology mecca of Silicon Valley. Recently, the Army restructured the theater sustainment command (TSC) so that senior warrant officers replaced field-grade officers in the distribution management center (DMC). Until that happened, field-grade officers filled the authorizations for most of the branch leadership positions in the DMCs. The expeditionary sustainment commands and division sustainment brigades followed suit by replacing junior officers with senior and junior sustainment warrant officers in the commodity sections under the auspices of the support operations officer. As a result of these organizational changes, sustainment warrant officers must now understand the sustainment critical path. Understanding the critical path is vital to creating or engaging in a network of stakeholders by facilitating or participating in a board or working group as part of an established battle rhythm. Executing mission command entails integrating with other staff members and warfighting function entities. With mission command, commanders expect that sustainment warrant officers will exercise initiative either instinctively or through conscious reasoning in the absence of orders. If mission command was intended to mitigate bureaucracy to expedite processes, the streamlining of the sustainment commands and sustainment brigades seemingly reflects this approach. How should sustainment warrant officers use the characteristics of a flat organization to provide commanders with additional leverage? Flat organizations promote creative thinking and foster an environment conducive to expressing innovative ideas to improve the organization. Because of the culture and nature of the flat organization, team members exhibit a sense of enterprise and inspiration through the exchange of ideas, trust, and a shared understanding of value in each other. As Army doctrine evolves--driven by the perceived threat of enemy states--sustainment warrant officers must understand that the tactics, techniques, and procedures put into practice for counterinsurgency will not prevail in large-scale combat operations. Sustainment warrant officers tend to extrapolate knowledge from their experiences and avoid departure from familiar doctrine. Ironically, commanders rely on sustainment warrant officers to develop fresh ideas and formulate strategies to meet new challenges. Sustainment warrant officers should perceive themselves as the representatives for creativity and the catalysts for change; they should possess the audacity to disrupt normal procedures to create efficiencies without compromising effectiveness. Why is mission command important to sustainment warrant officers? Army Techniques Publication 4-0.1, Army Theater Distribution, states that logisticians in sustainment commands and sustainment brigades "should understand the capabilities of strategic partners, so they can integrate strategic provider's capabilities into the operational and tactical environments." A common issue among sustainment warrant officers, especially those in the sustainment command's DMC, is the lack of synchronization with strategic partners. Many of the sustainment warrant officers are either oblivious to the existence of strategic partner liaisons or do not know the full scope of assistance and services rendered by these agencies. 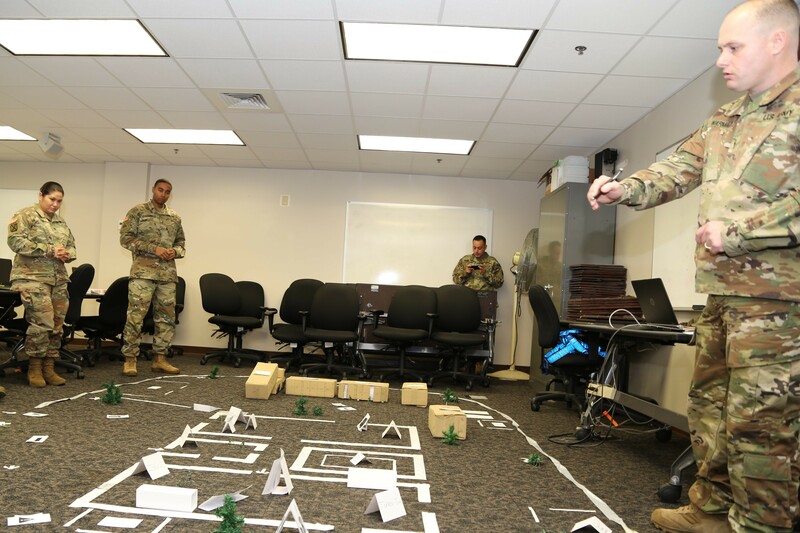 At the operational level, sustainment warrant officers often do not understand the functions and roles of the Army service component command and the TSC (the sustainment higher command) in large-scale combat operations. At the tactical level, sustainment warrant officers assigned to division sustainment brigades often do not understand the command and support relationships between the division headquarters and the sustainment commands. This lack of awareness presents challenges for sustainment warrant officers in sustainment brigades because they assumed inherent roles and responsibilities held previously by branch-qualified commissioned officers. Further complicating matters is the disparity in the jargon and vernacular used at each echelon. Sustainment warrant officers must adapt quickly to the terminology employed. In addition to learning the language, they must be able to translate sustainability ratings (data) into practical terms (understanding) to enable the commander to make decisions. This requires situational understanding of the operational environment. Because sustainment warrant officers have assumed positions held previously by officers, the Army expects the technical experts to understand and execute mission command. For most sustainment warrant officers, mission command remains an enigmatic piece of Army doctrine primarily because little quality instruction exists at each level of the warrant officer PME. In addition to honing their specialty craft, sustainment warrant officers should also be afforded the opportunity to learn and apply mission command with other stakeholders in the joint operations plan as part of their basic and advanced courses. Department of the Army Pamphlet 600-3,Commissioned Officer Professional Development and Career Management, states, "As warrant officers gain more experience and training, their focus and expertise shifts from their primary MOS [military occupational specialty] to integrating other systems within their branch to theater, Army, Joint, and national-level operations." Mission command is an essential component of Army doctrine that permits subordinates to cross-communicate, coordinate, and implement activities that support the commander's intent. However, sustainment warrant officers continue to learn in silos without realizing they have an inherent responsibility to parallel plan by integrating with other warfighting functions, strategic partners, and geographic and nongeographic organizations. The warrant officer PME must change to better prepare our technical experts for assignments within sustainment commands and sustainment brigades. Chief Warrant Officer 3 Zachary J. Keough is a sustainment observer, coach, trainer in Operations Group Sierra of the Mission Command Training Program. He has more than 23 years of logistics experience specializing in ammunition logistics planning and operations. He holds a bachelor's degree in business management and an MBA from the University of Phoenix. He is currently pursuing a master's degree in holistic health science. He is a graduate of Warrant Officer Intermediate Level Education, the Theater Sustainment Planners Course, and Joint Operations Fire Course.